Viktor Bout’s wife Alla, daughter Liza and mother Raisa arrived in John F. Kennedy international airport on Friday in order to be present at Mr. Bout’s upcoming pre-trial. While not necessarily expecting a warm welcome by Homeland Security, they also were not expecting to be treated like criminals. Bout’s family was detained at Kennedy airport for three hours, while his wife was interrogated by Homeland Security Department agents for two hours. Alla Bout told RT following the interrogation session. She responded that no evidence was ever presented to prove that her husband was a terrorist. Meanwhile, Alla Bout revealed that US immigration officers denied her the right to communicate with the Russian consulate. "The vice consul called me, but they ordered me to switch off the phone,"
Alexander Otchainov of the Russian Consulate in New York attempted to clarify the reason why Bout’s family was provisionally detained at the airport, but was given no explanation. Russian officials are also trying to understand why US authorities applied “excessive pressure” on Viktor Bout’s wife and family when they had already acquired all the necessary documents for legal entry into the United States from the US Embassy in Moscow. commented a senior diplomat at the Ministry of Foreign Affairs, who spoke on condition of anonymity due to the sensitivity of the case. The Department of Homeland Security (DHS) was created with the purpose of bringing more unity and cohesiveness to the sprawling US security apparatus. However, it seems to have created in its place a bureaucratic Frankenstein’s monster of many tentacles and no head. DHS came into force during the George W. Bush administration as a result of the Homeland Security Act of 2002. The DHS incorporates various government agencies, including the Secret Service, Federal Emergency Management Agency and the Immigration and Customs Enforcement. Following the massive security lapse of 9/11, US airport security was quickly brought under the heel of the federal government, thus forming a massive new bureaucracy inside of the DHS known as the Transportation Security Administration (TSA), which has reportedly swollen to almost 100,000 employees nationwide. Thanks to so many extra people armed and empowered to “protect the public,” an increasing number of travelers to and from the United States are reporting rude and intrusive treatment at US airports. Things came to a head in November when a would-be airline passenger John Tyner, armed with nothing more than an iPhone, recorded his conversation with several TSA officials who randomly pulled him aside for a full body scan at the San Diego airport. Opting instead for a body pat-down, his warning to the inspecting officer, “If you touch my junk, I’ll have you arrested,” attested to mounting frustration with the security hurdles, while also becoming a YouTube hit. 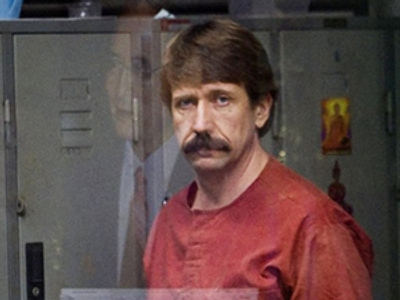 Viktor Bout, who once served as a translator in the Soviet Army, was arrested in Thailand in March 2008 during a sting operation orchestrated by U.S. agents. 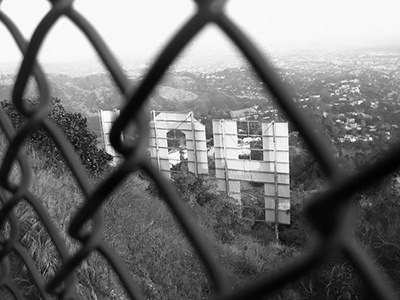 What followed was a two-year legal nightmare for the “Merchant of Death,” as he has been dubbed in the Western media, no less Hollywood. In 2005, Nicolas Cage (in the role of Yuri Orlov) starred in a Hollywood film entitled Lord of War, which tells the story of a Ukrainian gunrunner that was said to have been based on the life of Viktor Bout. returned the verdict at Bangkok's Criminal Court. “The Farc is fighting for a political cause and is not a criminal gang. Thailand does not recognize the Farc as a terrorist group." Just as it looked like there was some light at the end of Viktor Bout’s legal purgatory, the Thai appeals court, amidst intense diplomatic pressure from Washington, changed the original ruling. On November 16, 2010, Bout was extradited to the United States, where he now faces charges of arms smuggling, conspiracy to kill US citizens and support for terrorism. Bout has flatly denied all of the accusations. 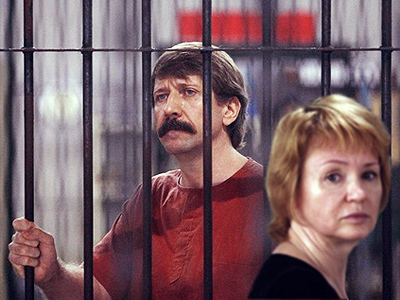 In a recent interview with RIA-Novosti, Viktor Bout spoke candidly about his chances of receiving a fair trial in the United States. 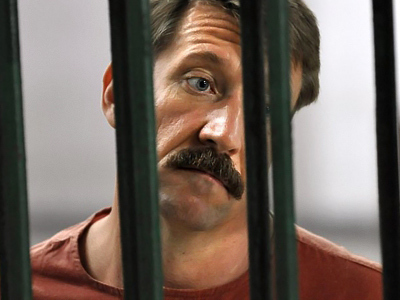 Pre-trial hearings for Viktor Bout will begin on January 10.